With the launch of MyCarolinas Tracker, the Carolina HealthCare System has quietly produced the the first prototypical fitness tracker and electronic health record (EHR) integration app — and even though the app has been available for a few months, few seem to realize the significance. Last year I wrote how Apple’s partnership with Epic Systems to link patient data from HealthKit was a huge deal. Epic Systems now covers more than 50% of the patient population in the United States, and is the most popular hospital EHR vendor. 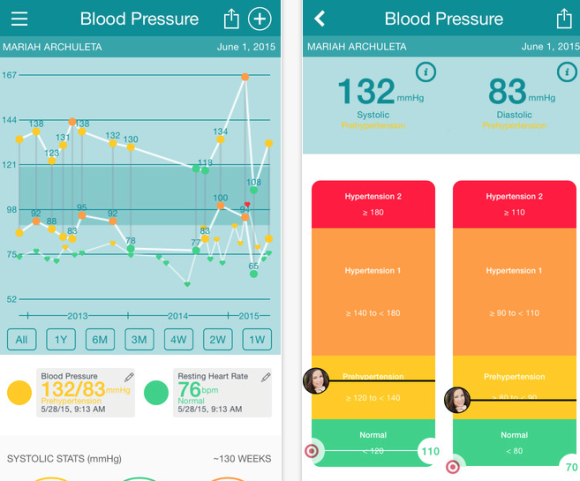 Stanford, which uses the EPIC EHR, has already been integrating HealthKit data into their EHR for a few months now in their Stanford MyHealth app. Other hospitals have followed suit as well. While it’s definitely “cool” to be able to integrate HealthKit data into a patient’s electronic health record — we’ve written before on how you miss a huge patient population that is on Android or doesn’t know how to utilize Healthkit. Further, the most popular wearable, Fitbit, doesn’t even integrate with HealthKit. The MyCarolinas Tracker app from Carolina HealthCare System goes beyond having to rely on Apple or Google to be the intermediary. Their tracker app has direct integration with more than 25 health trackers, 3 pulse oximeters, and 7 bluetooth blood pressure cuffs. If you don’t want to connect directly with all of these wearables, you can still use the Apple Health app as the intermediary. Even better, you can integrate with the Moves health app — a platform that works on Android and iOS devices and connects with various health devices. Connectivity is just one part of the app. You can also set health goals in the app along with getting summaries of your health metrics over time. All of this information can then be viewed by your physician in their electronic health record. Carolinas HealthCare System utilizes Canopy as their electronic health record. I find it shocking that Epic isn’t the EMR to have done this first. With the hundreds of millions spent by Hospital systems on Epic you would think the tight connectivity that Carolinas HealthCare System has been able to execute would be something Epic would have done a long time ago. Why does all of this matter? For wearables and health trackers to clinically matter — they have to integrate with the physician facing electronic heath record. Here is the clinical scenario: A 56 year old male was just started on a blood pressure medicine. The patient is getting lightheaded and having low blood pressures. They have the MyCarolinas Tracker app that automatically connects with their blood pressure cuff and keeps track of their recordings. This data is fed into the patient’s health record and the physician can easily track the various blood pressure readings — enabling the physician to titrate the patient’s blood pressure appropriately. This same scenario can play out with weight loss goals, glucose management, and more. While there are boutique electronic health records that provide this type of functionality — the MyCarolina Tracker app covers millions of patients — giving it the chance to actually make a public health impact. I’m certain if an app like this was created at a hospital in Silicon Valley or New York it would be getting all types of buzz. 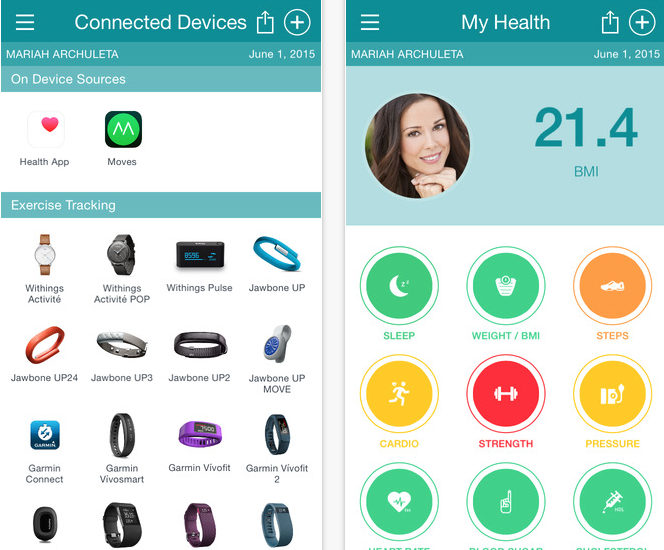 The MyCarolina Tracker app has the potential to do something no health app has yet — actually take data from wearables and make it clinically relevant for millions of patients and their physicians. Founder, Editor-in-Chief of iMedicalApps.com. Assistant Professor of Emergency Medicine at Wake Forest University School of Medicine. He is also the CEO and founder of Decision Point Informatics, a human informatics company that helps hospitals reduce unnecessary healthcare testing -- their first product is the Heart Pathway App that integrates into EPIC and Cerner. He went to North Carolina State University for undergrad and went to medical school at Wake Forest School of Medicine. I’m wondering what incentive does the doctor have to proactively look at data being measured by a patient at home and relayed to the EHR system? Who pays the doctor for that assessment and how can a physician make a clinical decision based on devices that may not be accurate or the user misused them and got a wildly inaccurate values. I can easily measure blood pressure using a cuff incorrectly and get a 20 point difference from the correct value. Heck, this happened to me by a PA at my primary’s office and I had to insist that another measurement is taken. For the first part — hopefully the hospital would have incentives in place for the physician to utilize these metrics as it could avoid / prevent hospital visits and hospitalizations. When it comes to the BP cuffs — we never look at “one” value — rather, we look at trends. Any type of hardware / software can get misused. Current practice is trust the patient’s blood pressure cuff they have at home and the measurements they take. But again — that’s why we don’t look at “spot” values — rather, overall trends. This is more concerning than encouraging. The accuracy of wearable data is all over the place (recent study below), and personally, Moves can be wildly off in assessing its measures depending on where you are being physically active. Doesn’t ONC have a say in any of this? Guidelines ONC? They are a division of HHS, who oversees EHRs. Puzzling. Youssef and Itifat you make very good points. I cannot recall seeing studies which verify the safety and accuracy of mobile BP cuffs and my direct observations of BP measuring procedures (and default acceptance) in EDs and Wards means innacuracy is the norm. From personal experience (I am a physician) I purchased the most recommended home BP measuring device for the community. I obtained readings like 150/80, 130 70, 200/150 just minutes apart. My response – I do not use it any more. Not only is the data quality of concern from wearables and peripherals…the fidelity of EMR data is also suspect leading to major errors in measuring clinical variables relevant to defining better “value-based” treatment outcomes.